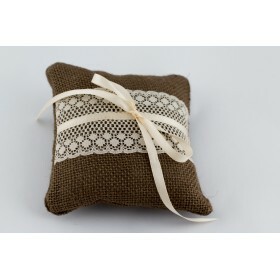 Handmade hessian ring pillow - the perfect resting place for your wedding rings. 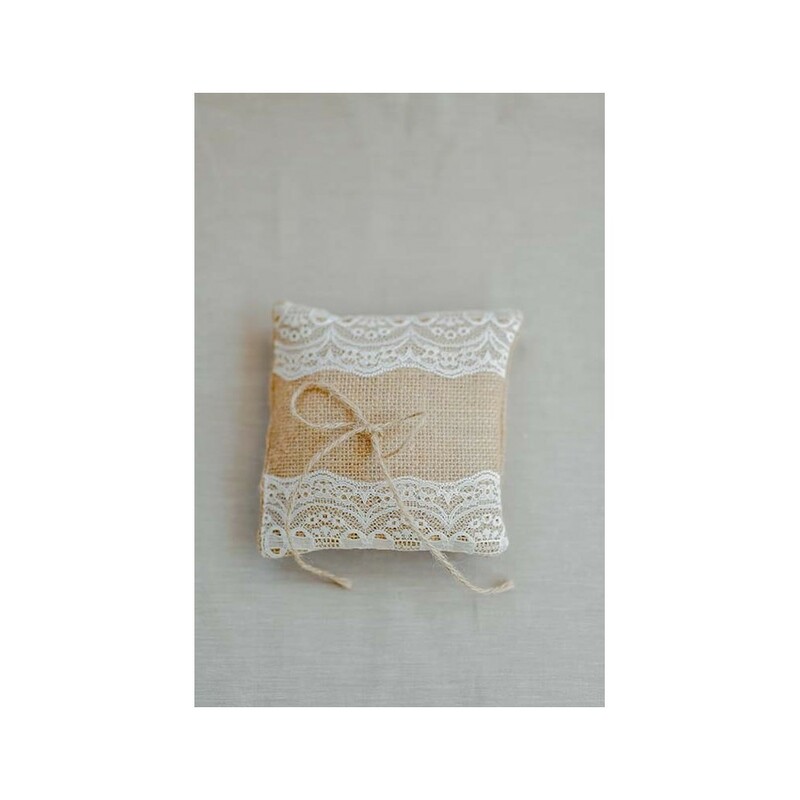 Hessian Ring Pillow is the perfect resting place for your wedding rings. 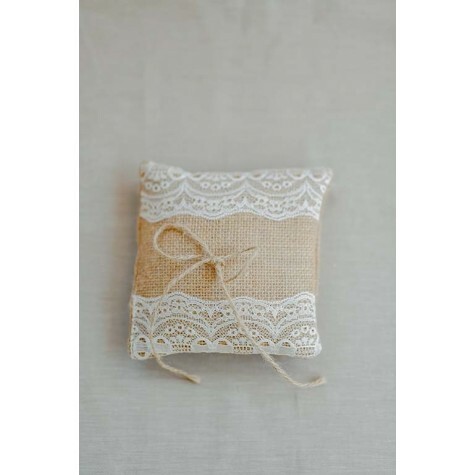 Customised with stunning white lace ribbon, perfectly placed in on either side of the pillow. Comes in blue, brown or ivory hessian.